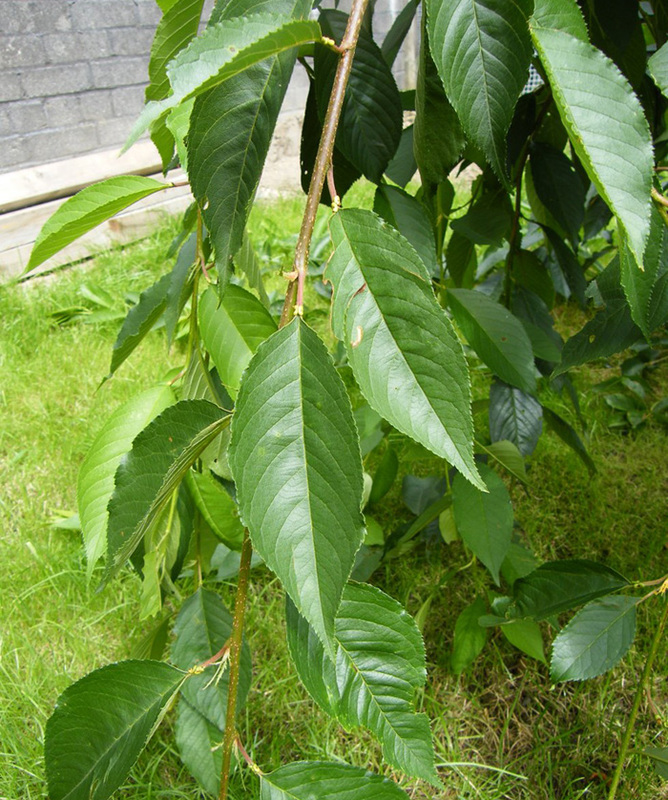 Buy Yoshino Weeping Cherry Tree (Prunus x yedoensis `Shidare-yoshino`) online from UK supplier of garden ornamental trees. 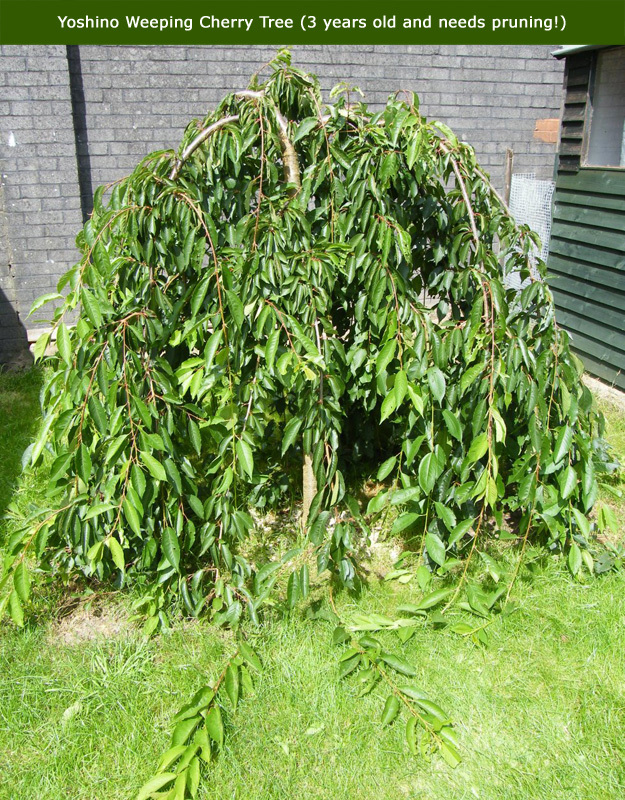 Yoshino Weeping Cherry Tree is a delightful small cherry tree with its main branches sweeping out somewhat horizontally, the twigs becoming pendulous and weeping almost to ground level. Its flowers are formed from pink buds during March and April, and gradually turn white as the season progresses. In addition, the flowers carry a slight, pleasant fragrance. Autumn see the leaves turn yellow before falling. 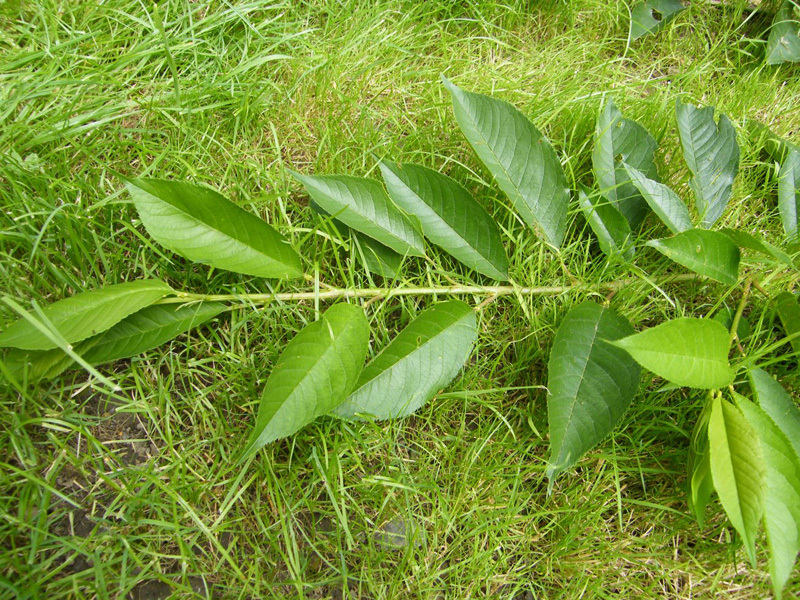 This tree is fairly round in form and will reach a height of approxiamtely 5m (16ft 8in), so is well-suited to the smaller garden. 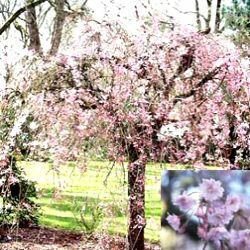 As you can see from the pictures on the left, if you leave the Yoshino Weeping Cherry tree to it's own devices, it will send it's branches out to where ever it can. We suspect it might be reaching for the remote control to watch the gardening channel but as yet we have not been able to prove anything. 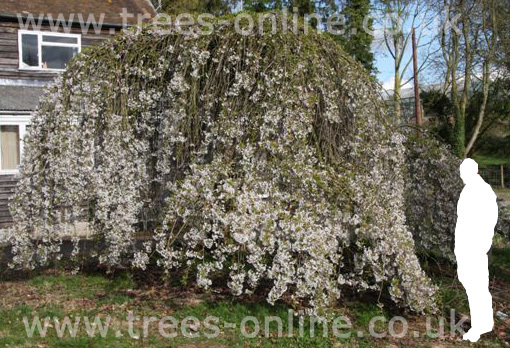 If your Weeping Yoshino develops a long skirt like the one shown, prune the branches to about 30cm above ground level. If you want the tree to weep higher in the future, take one of the upper branches and bend it up. Use a cane or some other form of support (we don't suggest using your children to hold it as they complain after a few days of being in the garden over night) and this branch will then grow up and then out. You then remove the lower branches over a period of a few years and your Weeping Yoshino Cherry tree will be much taller as shown by the tree on the left with white flowers.